Protects your dashboard from harmful ultraviolet rays! Heat and ultraviolet radiation is the enemy of the vinyl and leather used to cover car interiors. Your dashboard, parked as it is right under the glass windshield, takes the worst of it. After a few years, it can crack, or even peel up from its padding. Add in the abuse from toddlers, rowdy pets and multiple trips through fast-food drive-ins and your nice dashboard will eventually look like a cheap pair of alligator shoes. Save your new dash. 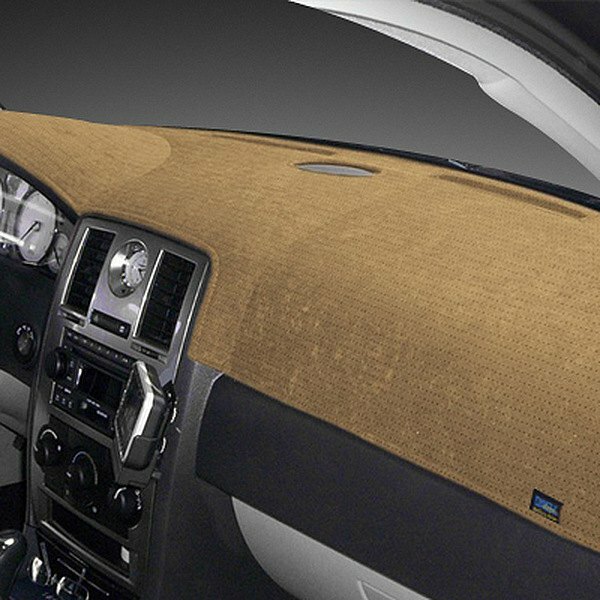 Cover your damaged dash, and improve the appearance of your interior all at once. A custom-fitted from is truly custom-fitted, designed, cut and assembled on the industry’s most modern CAD CAM© equipment. Made from premium materials, they install in a minute or three with Velcro fasteners.